Another twitter experiment! 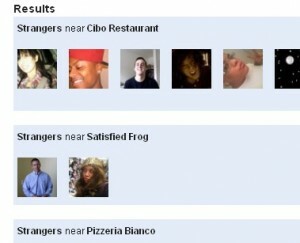 You type in a location and it searches the social web to find local strangers that might help. When you type in a location or click on a place, people who recently tweeted from that location are displayed. From there, you can go through twitter to send them a question. Umm, well yeah, but I got plans and I need some users! So try it out and send some feedback.